Alternative movie poster for Avengers: Infinity War. Private commission. When this commission came to me, I faced the challenge of doing something different. There is so much brilliant art around the Avengers in general, and this film in particular, that it’s difficult not to repeat schemes. 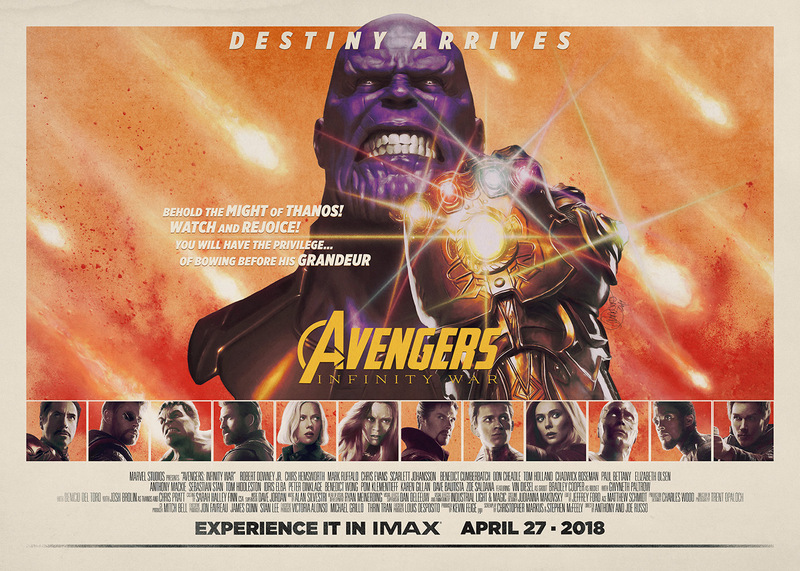 Since the client told me that he had especially enjoyed Thanos’ journey, I decided to give the villain most of the weight of the piece, and do something reminiscent of the classic posters of disaster films from the 1970s, in which a big and magnificent cast faced an unavoidable threat. Digital painting with Wacom Intuos Pro. Promotional photograph used as reference.